Katie contributed this salad to our orange-themed cooking club. It was one of the only dishes that didn’t necessarily LOOK orange, but you tasted (and saw) the oranges in there. It was a light refreshing twist to what you would expect. This is a crowd-pleasure for sure. 1. Drain the chickpeas, fill the saucepan of chickpeas with water and bring to boil. Let simmer for 30 minutes or until tender. Drain and rinse under cold water. 2. Combine the chickpeas, tomato, mint, onion and apricots in a bowl. Top with crumbled feta and lightly toasted almonds. 3. In a small bowl, mix the dressing ingredients together and pour over the salad. Toss well and serve. Entry filed under: Beans & Lentils, cooking club, Recipes, Salads, Side Dishes, Uncategorized. 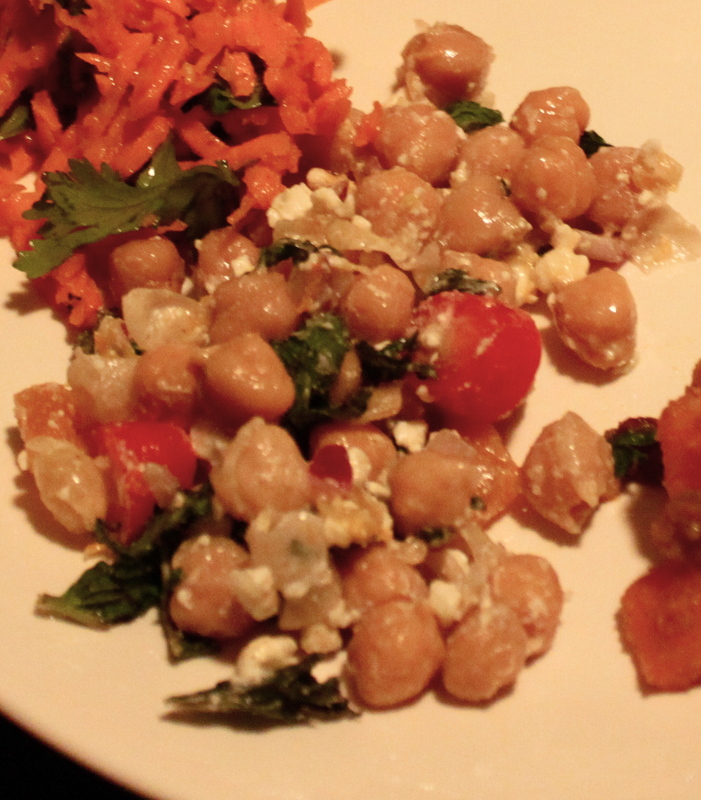 Tags: beans, chickpeas, dressing, feta, greek salad, light, orange, vegetarian salad.